By providing a full range of care (independent living, assisted living, palliative care, and hospice care) you can feel secure in knowing that should your needs change you can continue living at Nazareth House Fresno. 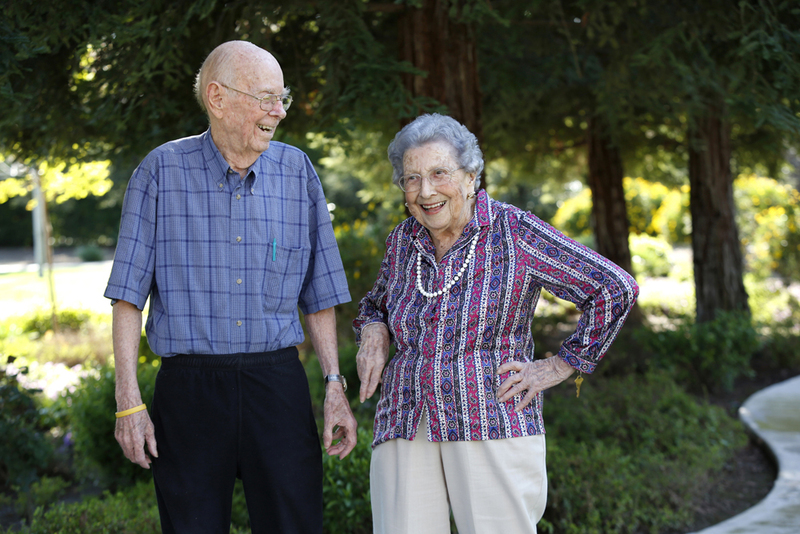 At Nazareth House Fresno, residents have more time to enjoy doing the things they love. Each resident may choose his or her own level of activities from a full range of organized programs. The gated community is an ideal setting for taking walks, reading in private garden alcoves or simply meditating. Daily housekeeping and meal preparations are provided, giving seniors time to do whatever they please. A beautiful chapel offers daily Mass. Residents with cars may park them on campus; on-site transportation is provided for shopping, banking and entertainment.